Pain Sar is a village of about 320 inhabitants, primarily Lahu, but also Kachin, Lisu, Shan and Bamar, and a mix of Christian and Buddhist. It is about 25 miles from Lashio in Northern Shan State. 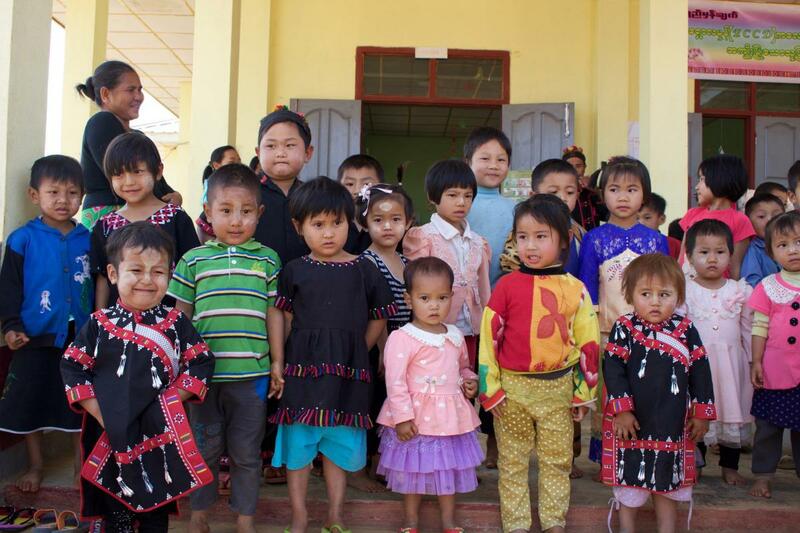 Most of the children do not speak Burmese, making primary school a challenge since classes are all conducted in that language. BSB representatives Bob Cornwell, Dan Kipp and Naing Naing Lin visited Pain Sar in March 2014 to meet with community members and leaders. Ma Snow, the director of local organization Meikswe Myanmar (MSM), served as liaison between BSB and the village. Community members had successfully organized a makeshift preschool in 2013 in a temporary building. Following on from that de facto demonstration project, the village asked for help making a preschool that would double as a community center and meeting place. 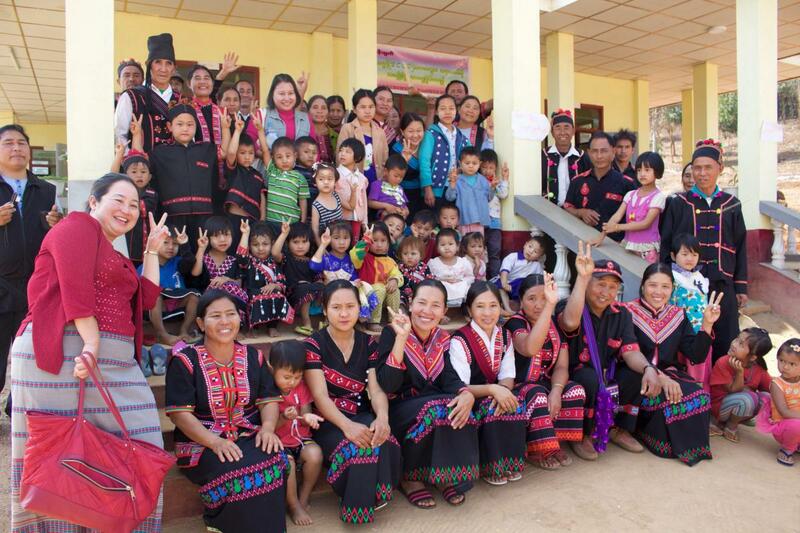 Community members donated land, and with help from MSM, obtained a commitment of funds (about 25% of the total needed) from the Myanmar Education Consortium. BSB provided the balance, and BSB Country Director Naing Naing Lin oversaw the construction in partnership with MSM. The school was completed in September 2015 and officially opened in October. Approximately 30-50 children will benefit annually from this new preschool. Villagers donated a new site and installed a water system. 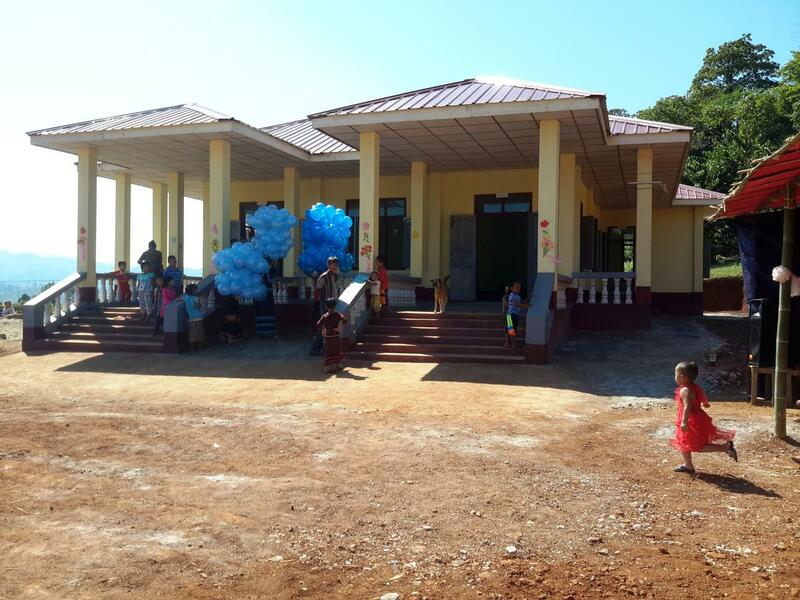 With partner Meikswe Myanmar, BSB helped build a preschool for their children. Pain Sar Villagers donated a new site and installed a water system. 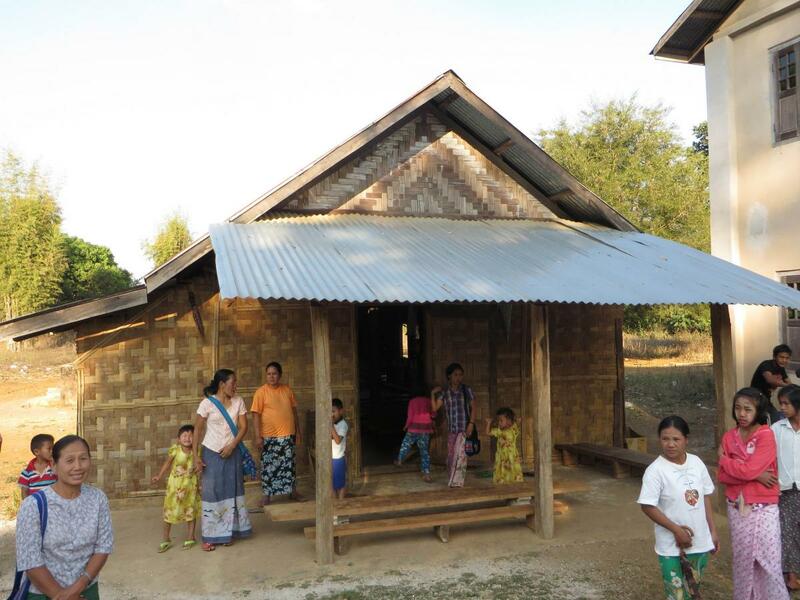 With partner Meikswe Myanmar, BSB helped build a preschool for their children.